Since Rob played They Were Wrong, So We Drowned at us almost a year ago, I’ve been wanting to properly re-evaluate Liars, who I’d dismissed circa Drum’s Not Dead rather too quickly. When I heard that they were releasing a new album earlier this year, and that it saw them fulsomely exploring electronic music, it seemed like the perfect opportunity to tackle my preconceptions. So I bought WIXIW (pronounced “wish you”) on day of release, and dove in enthusiastically. I’ve not been disappointed – alongside Field Music it’s probably the album I’ve listened to most this year, and it’s very definitely amongst my favourites. It feels to me like an important record, somehow, like it has a purpose and a point to make. I thought I’d passed a point of caring about “importance” in things like that, but Liars and Swans are making me doubt that I have. Eschewing “rock” instruments and textures almost entirely, Liars recruited Mute label boss Daniel Miller to produce WIXIW, and his lifetime’s expertise in and knowledge of electronic music apparently awed (and almost overwhelmed) this otherwise seemingly pugnaciously confident trio. The resulting album, whilst sonically extremely confident and accomplished, is spiritually and lyrically conflicted and ambiguous: Liars here vacillate between the desire for proximity and intimacy, and solitude which borders on solipsism, and the cumulative effect is of a record full of and beset by doubt. The doubt that subsequently infects these songs seems to be about the creative process as much as it is outside relationships. I’m fascinated by WIXIW, by the way its looped synthesisers, found-sounds and rhythms simultaneously attract and unsettle you, by the way its lyrics seem both obstinate and unsure (“I refuse to be a person”; “I wish you were here with me… / wish you would not come back to me”), by the way it marries beatific near-ambience (The Exact Colour of Doubt) with unrepentant, electro-shock-therapy 21st century punk (Brats). A handful of the songs seem straightforward accessible, with hooks, refrains and rhythms to tempt you in (the afrorementioned Brats, No. 1 Against the Rush), whilst others trade in complex, obfuscating structures (the title track) or spooked textures and messages (Ill Valley Prodigies), adding to the sense of doubt and duality. Liars’ closest sonic and spiritual cousins on WIXIW are, rather unsurprisingly, latter-day Radiohead, and the vocals and melodies here are occasionally redolent of specific moments of that band’s career (one lyrical melody in particular reminds me of Amnesiac-era b-side Cuttooth), but there’s something edgier, more outsider, about Liars. I’ve delved backwards from WIXIW into Sisterworld, intend to reacquaint myself with Drum’s Not Dead as soon as our CD collection is unpacked after we move house, and I have another three albums to investigate after that. Exploring them from a distance, I’m rather disappointed not to have been along for the ride since the beginning. Tom Listened: I was very taken with this (however you spell it/pronounce it). 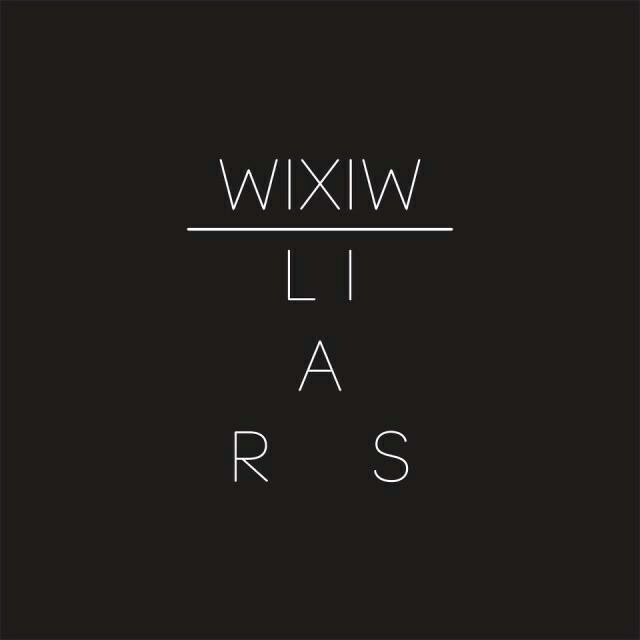 As opposed to other Liars records I have heard (records 2 and 3 in their discography), WIXIV seemed really accessible and friendly, even warm…which is not something I would have thought I would ever be writing with regard to a Liars album. Whilst it is probably a tad less intriguing than Drum’s Not Dead or the other one with the very long name, it seemed a much more enjoyable (in its purest sense) listen to me – kind of like comparing Clear Spot to Trout Mask Replica. I’d take the latter to my desert island but I have played the former far more times and am much fonder of it. For some reason, and I am can not put my finger on why, there was something in the sound of WIXIV that reminded me of Tame Impala, but seeing as Liars are definitely not a retro-psych-rock outfit, I can only imagine its Angus Andrew’s Antipodean origins that are creating any vague similarities, most likely in vocal style. Rob listened: Liars are one of my favourite bands of the last ten years. Any band that makes successively startling records, with no hint from album to album where they may be heading next, is surely a treasure to be clasped to the collective bosom. I’ve been trying really really hard not to buy records this year, and as such ‘WIXIW’ is at the top of my Christmas List and had remained deliberately unheard until this evening. I found myself deliberately failing to listen closely, deferring that particular pleasure, but the album sounded every bit as intriguing and mesmerising as Nick describes. I got lots and lots of echoes of ‘They Were Wrong, So We Drowned’ which is possibly my favourite of the preceding five albums. Whilst it’s a first to hear an album of theirs that seems to have such overlap with a previous effort, this simply serves to put a double underline underneath the first item in my letter to Santa. Graham listened: I am a dinosaur. Perhaps to expand a little, I mean the above in relation to all electronic/dance type music since the early/mid 1990’s. I nearly had a moment with The Knife and Fever Ray and its the closest I have come to an eureka moment. While choices like this continue to challenge me, I seem to be immune to the stuff and I’m gonna have to face it (apologies, but my anxieties around modern electronic music has led to me suffering a Palmerism). I’m in no position to comment really but enjoyed listening to this and maybe if I had been at Round 18 I could have appreciated more the distance of travel from Rob’s offering earlier on. Has anyone pointed out how much A Ring on Every Finger sounds like Myxomatosis? Pretty sure that’s the one that reminds me of Cuttooth; not listened to Myxomatosis in an age but will do with an ear out for similarities soon.